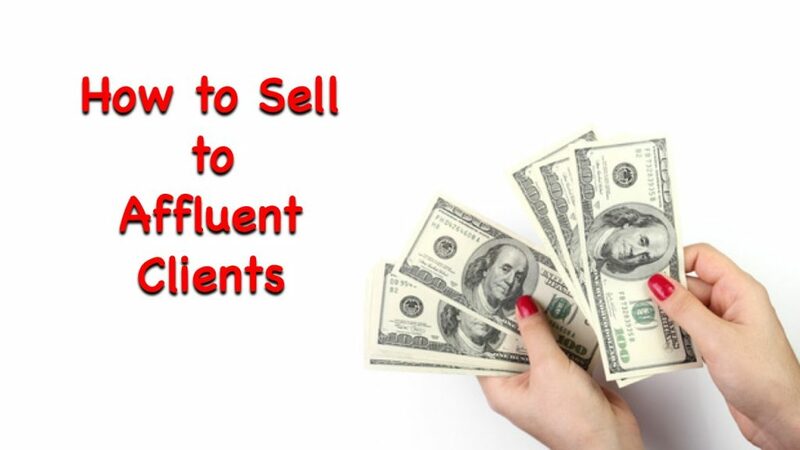 If you’re wondering how to connect with affluent clients, this is the video for you. This is a good starting point for people who want to work with families of wealth. Affluent clients do a significant amount of research before they make a decision on a product, service or experience. You should host educational events designed to help families of wealth become familiar with your industry and your offerings. These educational sessions will help them view you as the best choice. Affluent clients are influenced by letters of recommendation and referrals from business associates, friends and neighbors. You should collect as many referrals and letters of recommendation as possible and share them with all of your perspective clients. If there is someone specific you’d like to meet, do some research on LinkedIn and determine who you know, who also knows them. Call those people and ask directly for a recommendation. One of the first things I do with my clients is look at the geographic area within which they live. We select the wealthiest community and look at the places where children go for activities. Dance schools, karate training centers, music lessons, tennis clubs all exist in these communities. Your children can participate in these activities in a rich neighborhood or they can participate in a middle class neighborhood. Go rich. Hang out with affluent clients while waiting for your kids to finish an activity. Be sure and read my award winning book: The 60 Second Sale: The Ultimate System for Building Lifelong Client Relationships in the Blink of an Eye. It is an entire system designed to help you build relationships with affluent clients.